In 1993, the Collectors Society was introduced as a membership club offering special benefits and limited pieces. Several statues had highly anticipated release dates and the collection was a focal point in many Disney Galleries. 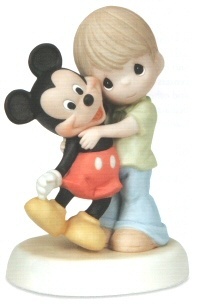 A few years ago, Disney brought the Enesco Company on board as the manufacturer of the WDCC line. Manufacturers had changed previously, but there was no interruption to the quality of the statues. However, in March of 2013, it was announced that Precious Moments Inc. was named the new manufacturer after Enesco had stepped down. People met this news with extremely mixed feelings. While the WDCC line was known for its detail to characters, Precious Moments statues seemed to be in a completely different direction. When the first images of new Classics Collections statues surfaced, the reaction was overwhelmingly negative, as the quality did not seem to match that of the line before. This reaction caused such a stir that Precious Moments had stated they would revisit their efforts and work on new samples. "We truly appreciate the fans and collectors who have been eagerly awaiting the Walt Disney Classics Collection product launch by Precious Moments Incorporated®. After extensive consultation with Disney®, we have jointly decided not to move forward with the release of the collection. The Walt Disney Classics Collection will be placed into the “vault” alongside other cherished Disney classics. We invite you to continue to celebrate Disney characters and stories with the beautifully crafted collectibles available in the Disney Showcase Collection by Precious Moments. These exquisite pieces are available at Disney Theme Parks, DisneyStore.com, PreciousMoments.com, and specialty retailers. Thank you for your continued support of Precious Moments Incorporated." The news was official, after a long and celebrated run spanning many years, the Classics Collection statues had ceased production. Over that time, there have been a few statues from Who Framed Roger Rabbit produced. The first was Dear Jessica, How Do I Love Thee by Kent Melton in 1999. The next was released in 2004, I'm Not Bad. I'm Just Drawn That Way., a statue of Jessica Rabbit which was first in the new Leading Ladies Collection. Benny the Cab and Roger Rabbit statues soon followed. It's certainly sad news that one of Disney's most well known centerpieces for collectors is now a thing of the past. It seemed to be the last remaining thing Disney really presented to true collectors to enjoy that were more high-end pieces. This doesn't mean they won't find a new manufacturer some day, but for now the line has been stopped. 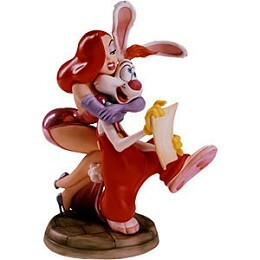 To read my review on the WDCC Jessica Rabbit Statue, CLICK HERE.